We’re at a real pivot point today as three planets have shifted or are in the process of shifting. Mercury just went direct and is still in the last degrees of Pisces, Mars is preparing to turn direct on April 13 just before midnight EDT, and Pluto moves into retrograde tomorrow. Ceres also enters Taurus today. Essentially, it’s time to get down-n-dirty (maybe literally, with Ceres in Taurus–go play in the dirt, garden, plant things) in order to figure out what’s going on, what needs to be fixed, and where we need to go. We have to release things we once valued, as their time is over and they’re standing in the way of our new direction, our new lives. The Moon enters Sagittarius at 11:12 AM EDT, a forward-thinking and optimistic placement, which will keep us from wallowing in the sludge and help nudge us forward. Venus sextiles Uranus in Aries, cracking us open and hitting us with “the shock of the new”, which is reinforced by the Moon/Uranus trine this evening. Sometimes we need a little jolt to push us forward into the future. The Moon also squares Neptune and Mars, so resistance, on both the conscious and unconscious level, could be a factor to contend with today. The Keyword for the Sabian Symbol is “Exertion” and for the Kozminsky Symbol it’s “Contention ”. 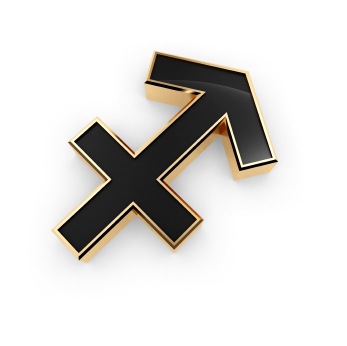 These Symbols both feature powerful figures in a tense situation and mirror the Aries-Libra polarity. In the Sabian Symbol, a lone figure prepares to meet his opponent; in the Kozminsky Symbol, the figure is embroiled in a fierce struggle, but others are coming to his assistance. Both are strongly Martian scenarios (Mars is the ruler of Aries), showing a willingness to fight, to assert the Self, and to challenge our skills in a critical situation which requires immediate action. Both also require an ability to defend against outside obstacles (in one case, it’s a human opponent, in the other it’s a serpent). Both bring up powerful feelings and the idea of coming up against an opponent, or some force that is acting against us and is seeking to defeat us (including our own “inner demons”), but imply that we have the power and skills to overcome any obstacles through our own bravery and training, with or without the assistance of others. These Symbols also echo the intensity of the planetary movements, particularly the upcoming Mars and Pluto shifts. Mars and Pluto relate to intense power and the need to maintain a laser-like focus in order to handle the energies inherent in the combination. There’s both destructive and constructive uses for this power, and we must be guided by wisdom when we work with these energies. Intense self-transformation and inner knowledge can result from proper use; pointless destruction can occur from mismanagement. Tamerlane (Central Asian conqueror), Charless Pierre Baudelaire, Eadweard Muybridge, Leopold II (King of the Belgians), Chris Watson (Prime Minister, Australia), Sol Hurok, Efrem Zimbalist, Paul Robeson, Ward Bond, J. William Fulbright, Hugh Hefner, Tom Lehrer, Carl Perkins, Paul Krassner, Vladimir Degtyaryov (cosmonaut), Cheeta (chimpanzee actor, “Tarzan”), Jim Fowler (zoologist), Jean-Paul Belmondo, Avery Schreiber, Michael Learned, Brandon De Wilde, Terry Knight (Grand Funk Railroad), Dennis Quaid, Kenneth D. Cockrell (astronaut), Joe Scarborough, Paulina Porizkova, Jeff Zucker, Cynthia Nixon, Wang Yang( Youngest-ever Olympic record-breaker–age 17), Albert Hammond Jr. (The Strokes), Eric Harris (Columbine shooter), Jay Baruchel, Leighton Meester, Kristen Stewart (vampire bait), Elle Fanning, Dean Koontz, Jenna Jameson, Frank King (Gasoline Alley cartoon), Victor Vasarely, Severiano Ballasteros (golf champ), Hal Ketchum, Mark Kelly (Marillion), Kevin Martin (Candlebox), Gerard Arthur Way (My Chemical Romance), Jimmy Tingle, Isambard Kingdom Bruner (designed 1st trans-Atlantic steamship). Here’s an earth/water combination, with the 8 of Pentacles related to Mercury in Gemini united with the Ace of Cups’ powerful focus on intuition, spirituality, new emotional beginnings. This combination says “do what you love”. Use your skills, develop new skills, in the service of a greater force and follow your inner guide to find the right direction. We all have talents that reflect who we are deep in our souls; this combination urges us to find what our talents are and then put them to good use.